Just traded and ready for a NEW home. 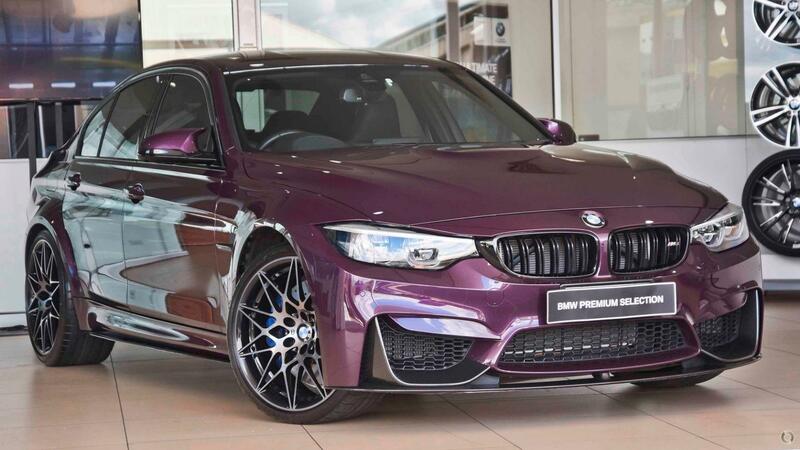 Stunning BMW Individual Purple Silk M3 LCI-2. The BEST news is that THIS car has passed our FASTIDIOUS 100 point inspection and been deemed a BMW PREMIUM SELECTION VEHICLE so that you get the piece of mind that there is still plenty of life in the tyres and brakes, has a full BMW service history, two keys, is only fitted with genuine parts and accessories and COMES WITH THE BALANCE OF NEW CAR WARRANTY, ROAD SIDE ASSISTANCE AND 5 YEAR OR 80,000KM BMW BASIC SERVICE PACKAGE. THIS BMW ALSO INCLUDES THESE FEATURES: Electric Seats With Memory Function, Lumbar Support And Heated Seats For Driver And Passenger - 360 Top Down View Reversing Camera - 666m Black 20" wheels - Black Extended leather - Sports Leather Steering Wheel - M Dynamic Mode(MDM) - Adjustable Steering, Suspension and Accelerator - Park Distance Control - Park Assistant - Navigation - DAB Digital Radio.